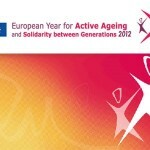 The Training 4 Volunteers Project funded by the European Commission through the 2010 Preparatory Action and led by the Leadership Academy of the German Olympic Sports Confederation has made the final project report publically available. 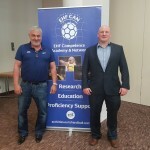 The project which was conducted from 01 January 2011 till 30 June 2012 sought to address how the individual can be supported in operating to increase quality standards of sport organisations and how human resource management can be applied to make volunteering in sport a valuable and attractive experience for individuals. EOSE was involved in T4V as a project partner which sought to address the themes outlined above by exploring the concepts of human resource development, the volunteering culture and the profiling of volunteers to discern their motivations. The excerpt below provides an indication of the need for human resource development for volunteers in the sector and how the T4V project has sought to address these issues. Volunteer management is becoming increasingly important, due to the growing need and increased competition for skilled and motivated volunteers within and between all voluntary sectors. Sports organisations need to improve their current volunteer management activities through a process of engaging with and implementing human resource management tools. 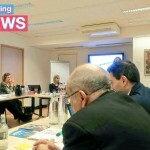 With its human resource development model, the Training 4 Volunteers project offers a framework to support the practical implementation of volunteer management and the exchange between different sports and member states. If you are interested by such issues we encourage you to consult the final report of the Training 4 Volunteers project that is available here.